Over the past decades, computers have become faster and faster and hard disks and storage chips have reached enormous capacities. But this trend cannot continue forever: we are already running up against physical limits that will prevent silicon-based computer technology from attaining any impressive speed gains from this point on. Researchers are particularly optimistic that the next era of technological advancements will start with the development of novel information-processing materials and technologies that combine electrical circuits with optical ones. 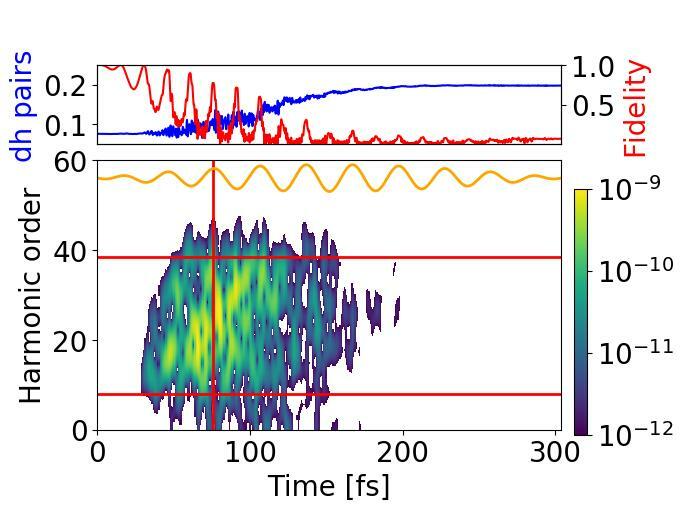 Using short laser pulses, a research team led by Misha Ivanov of the Max Born Institute in Berlin together with scientists from the Russian Quantum Center in Moscow have now shed light on the extremely rapid processes taking place within these novel materials. Their results have appeared in the prestigious journal Nature Photonics. Of particular interest for modern material research in solid state physics are "strongly correlated systems", so called for the strong interactions between the electrons in these materials. Magnets are a good example of this: the electrons in magnets align themselves in a preferred direction of spin inside the material, and it is this that produces the magnetic field. But there are other, entirely different structural orders that deserve attention. In so-called Mott insulators for example, a class of materials now being intensively researched, the electrons ought to flow freely and the materials should therefore be able to conduct electricity as well as metals. But the mutual interaction between electrons in these strongly correlated materials impedes their flow and so the materials behave as insulators instead. By disrupting this order with a strong laser pulse, the physical properties can be made to change dramatically. This can be likened to a phase transition from solid to liquid: as ice melts, for example, rigid ice crystals transform into free-flowing water molecules. Very similarly, the electrons in a strongly correlated material become free to flow when an external laser pulse forces a phase transition in their structural order. Such phase transitions should allow us to develop entirely new switching elements for next-generation electronics that are faster and potentially more energy efficient than present-day transistors. In theory, computers could be made around a thousand times faster by "turbo-charging" their electrical components with light pulses. The problem with studying these phase transitions is that they are extremely fast and it is therefore very difficult to "catch them in the act". So far, scientists have had to content themselves with characterising the state of a material before and after a phase transition of this kind. Researchers Rui E. F. Silva, Olga Smirnova, and Misha Ivanov of the Berlin Max Born Institute, however, have now devised a method that will, in the truest sense, shed light on the process. Their theory involves firing extremely short, tailored laser pulses at a material – pulses that can only recently be produced in the appropriate quality given the latest developments in lasers. One then observes the material's reaction to these pulses to see how the electrons in the material are excited into motion and, like a bell, emit resonant vibrations at specific frequencies, as harmonics of the incident light. "By analysing this high harmonic spectrum, we can observe the change in the structural order in these strongly correlated materials 'live' for the first time," says first author of the paper Rui Silva of the Max Born Institute. Laser sources capable of targetedly triggering these transitions have only been available since very recently. The laser pulses namely have to be amply strong and extremely short – on the order of femtoseconds in duration (millionths of a billionth of a second). In some cases, it takes only a single oscillation of light to disrupt the electronic order of a material and turn an insulator into a metal-like conductor. The scientists at the Berlin Max Born Institute are among the world's leading experts in the field of ultrashort laser pulses. "If we want to use light to control the properties of electrons in a material, then we need to know exactly how the electrons will react to light pulses," Ivanov explains. With the latest-generation laser sources, which allow full control over the electromagnetic field even down to a single oscillation, the newly published method will allow deep insights into the materials of the future.